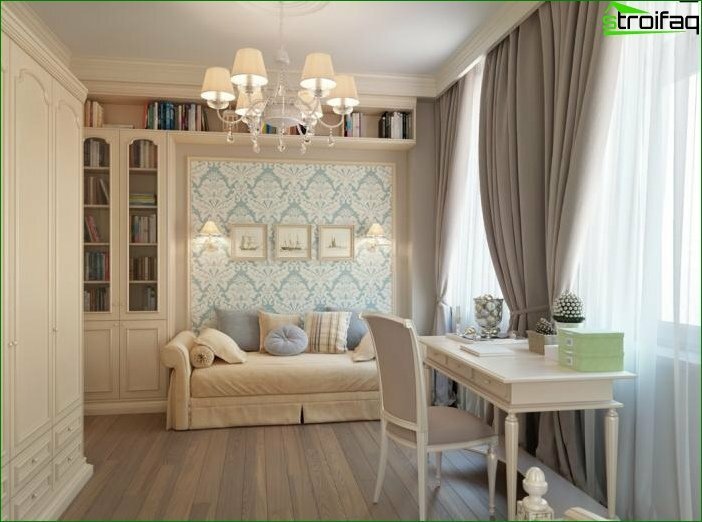 Following a certain style of the interior, we chooseFurniture, decoration of walls, floor, ceiling and, of course, curtains. 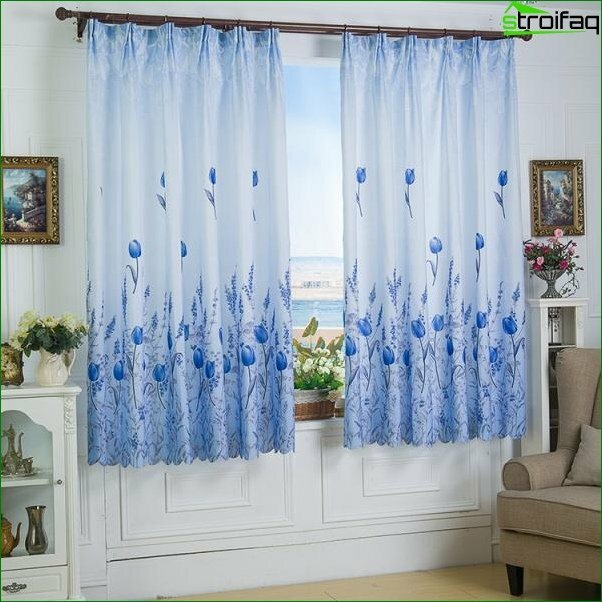 In living rooms, and especially in the bedroom, it is difficult without them, they create a cosiness and protect from sunlight and strangers' eyes. Modern styles offer their own ways of decorating a window. We need to understand them in order to perfectly fulfill the design of the room. 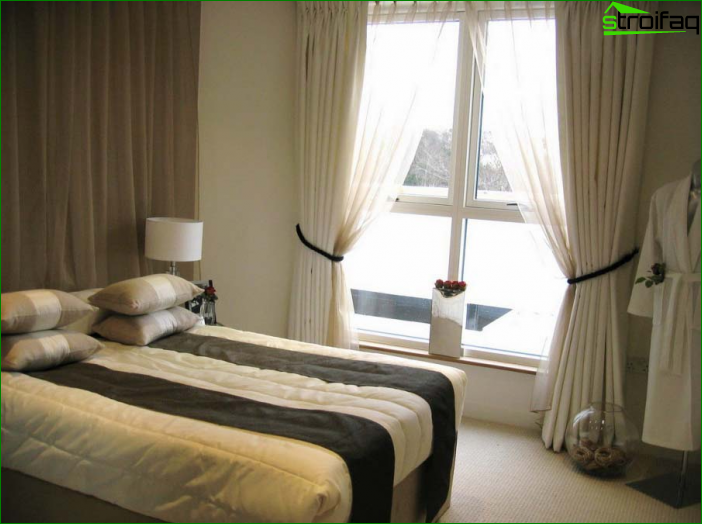 Read more about Choosing curtains In different rooms. In this popular style, there is almost no space forSuperfluous beauty. It is designed for useful and convenient use of living space. 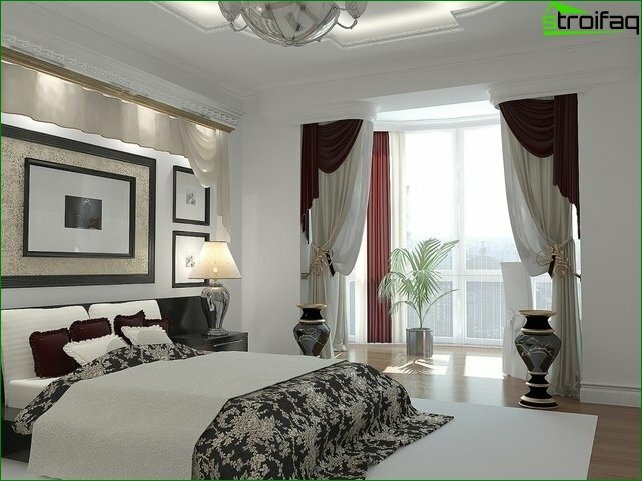 Monochrome painted walls and ceilings, a bulk floor, laconic furniture made of glass and metal - all these are signs of a high-tech style. The windows must be completely open or darkened by the usual blinds. 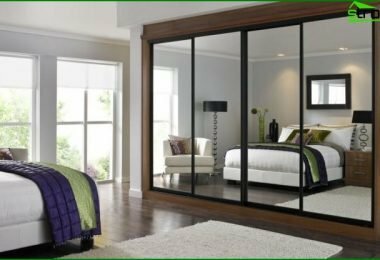 In this form, hi-tech is almost never found in living quarters, because people want to add to their design something of their own, customary, and hang on windows at least light curtains. 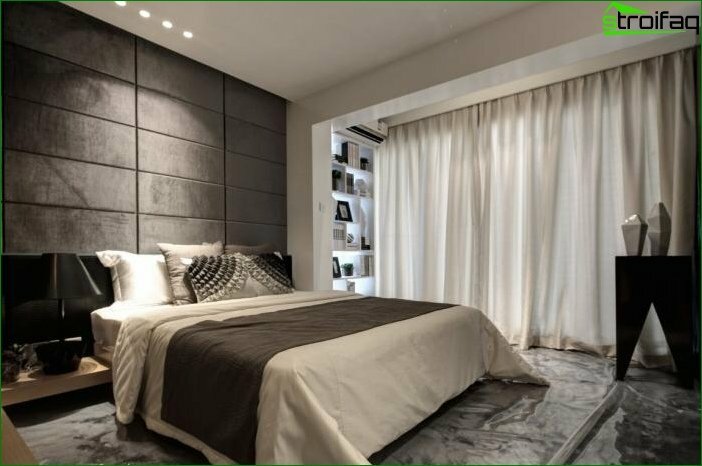 The bedroom in this style would look too ascetic, so for it we suggest choosing Rolling or Roman curtains Neutral colors. They look "nicer" office blinds and perfectly protect from the sun. In many ways, minimalism is similar to high-tech. The desire for free space through the abandonment of excess furniture, the discreet tone of the entire interior, the simplicity of lines and forms combine these two modern styles. However, in minimalism there is no metal and glass, it is cozier and closer to ordinary life. Furniture is made of wood, its surface is not glossy, but matte. Curtains in the style of minimalism are light, sloppy, and, like the whole situation, do not attract attention. They honestly perform their functions and do not carry any additional idea. 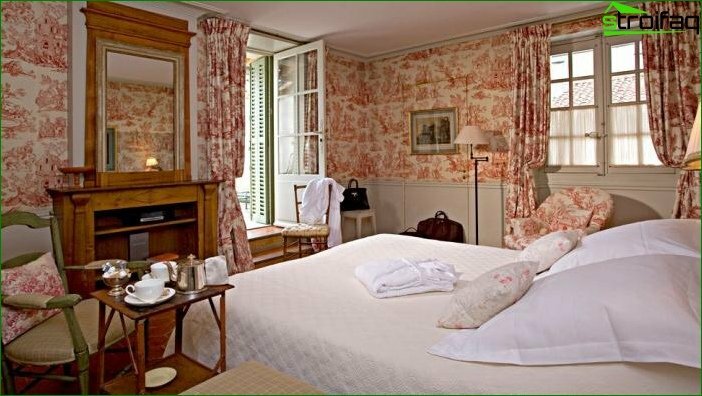 Looking at the photo of the interior in the style of Provence, it is difficultTo refrain from smiling. He is, in fact, very sweet, childishly spontaneous and gentle. 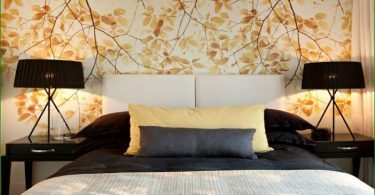 Especially attractive is the bedroom: embroidered bedspreads, curtains in a flower, napkins on the dresser create an image of a fairy-tale room. 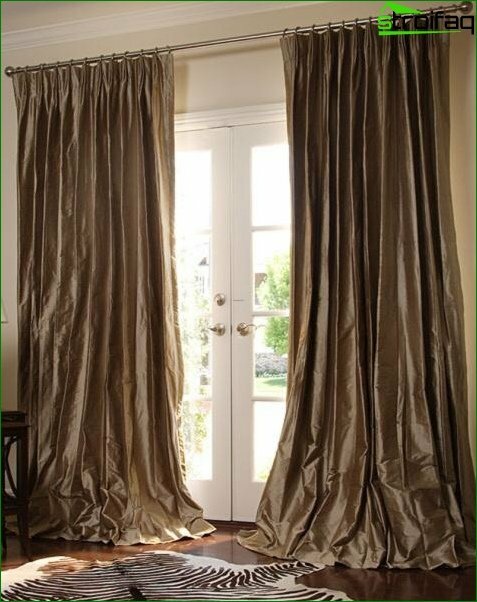 Curtains in this style are always double, airy tulle necessarily combined with thick curtains of a darker color. 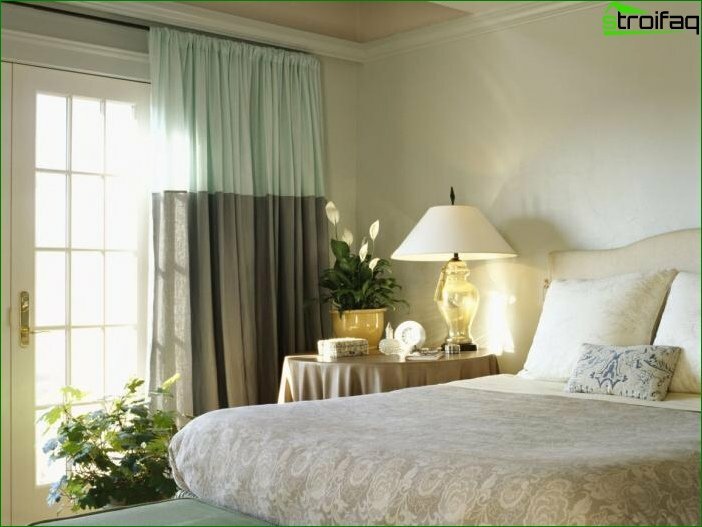 For the bedroom, the curtains of neutral pastel shades are usually chosen, but it is allowed both soft blue and light green. In the interior in the style of Provence there are mostly natural fabrics: cotton, linen, cambric, etc. The luxury inherent in this style is reflected inAll the details of the interior. 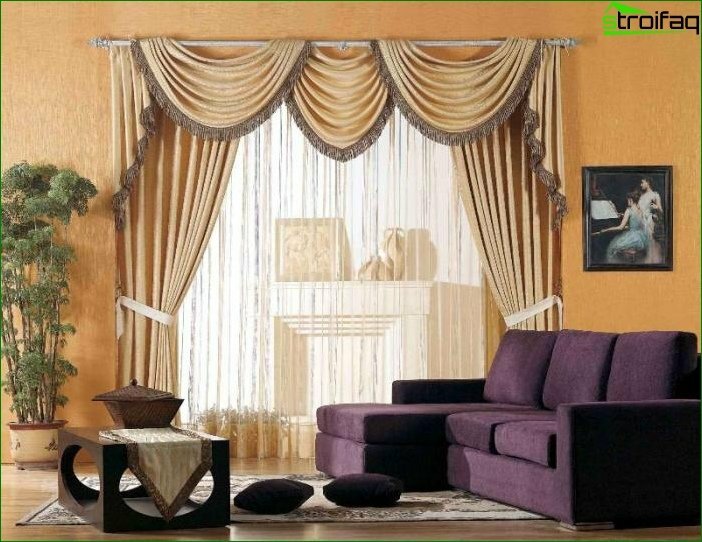 Curtains seem to have been created in order to emphasize the chic and sophistication of the situation. 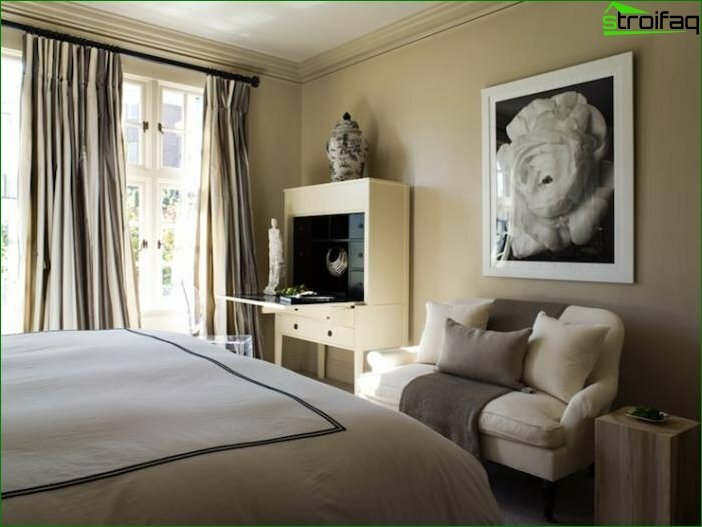 In the Art Deco bedroom, you can not without heavy dense curtains made of velvet, satin or silk. They can be decorated with lambrequins, gilded brushes, draperies. In this style often there are exotic patterns, original images that decorate curtains, upholstery furniture or wallpaper. 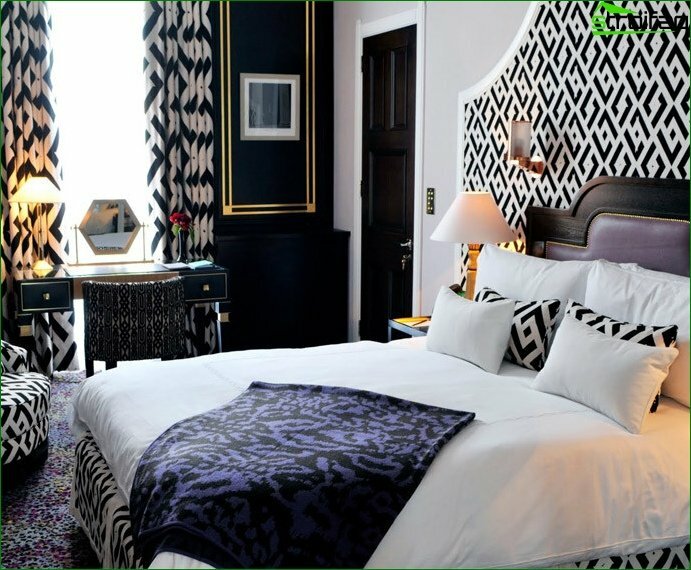 The bedroom uses black and white, dark and pastel colors, but they are almost always complemented by an unusual print or expensive decor. Despite the fact that in modern homes thisStyle is replaced by newfangled ideas, the classic is still loved by many. 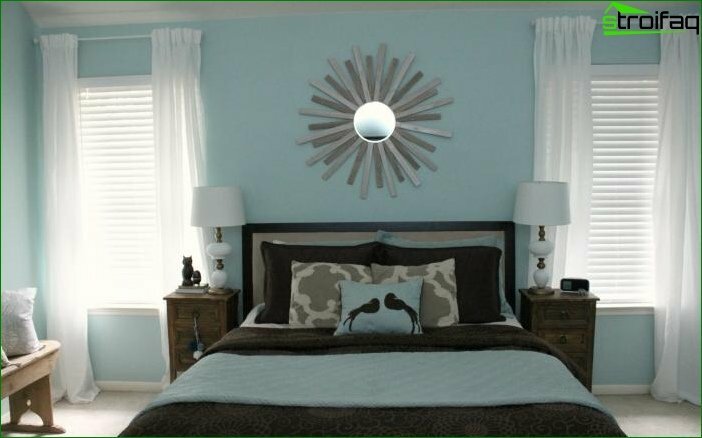 This style can be realized in a spacious bedroom with a large window. 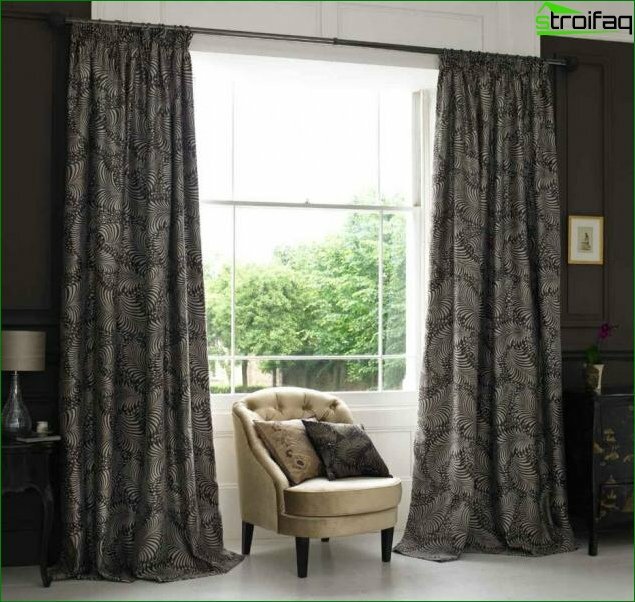 Great will look like a French window to the floor framed by velvet draped curtains. 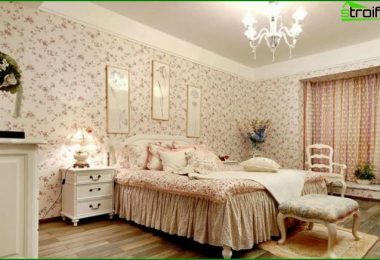 Their color always echoes with wallpaper and furniture, they are really "cozy", without them Bedroom design Loses some of the advantages. 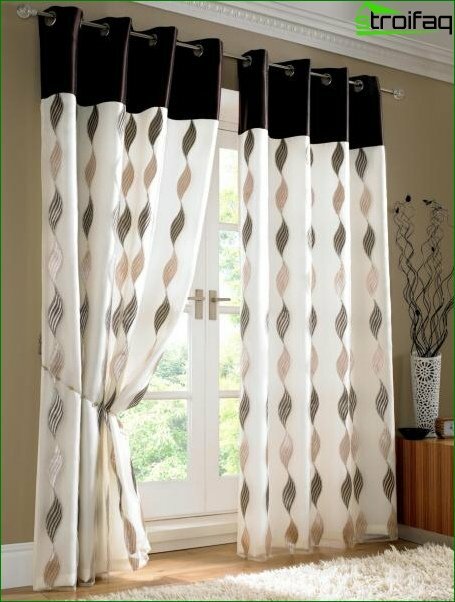 Unlike the Art Deco in the classic style of curtainsStrict and elegant. They almost do not meet patterns and ornaments, they are monotonous and unobtrusive. 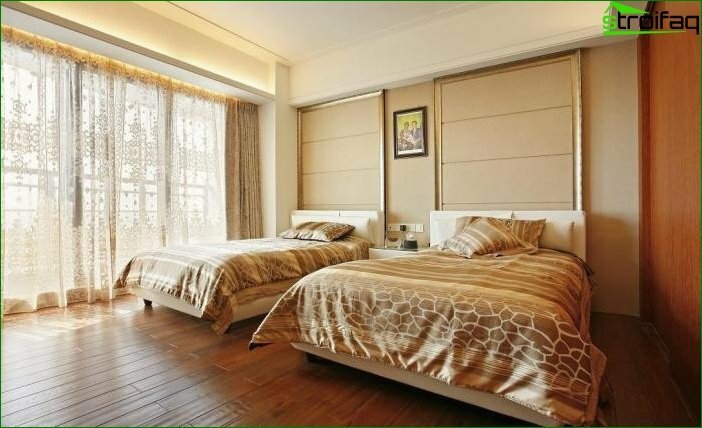 In the bedroom we will see only beige, brown or cream color. How wonderful that we can see the world in many colors! Since childhood, we fall in love with some colors and want them to be always near. 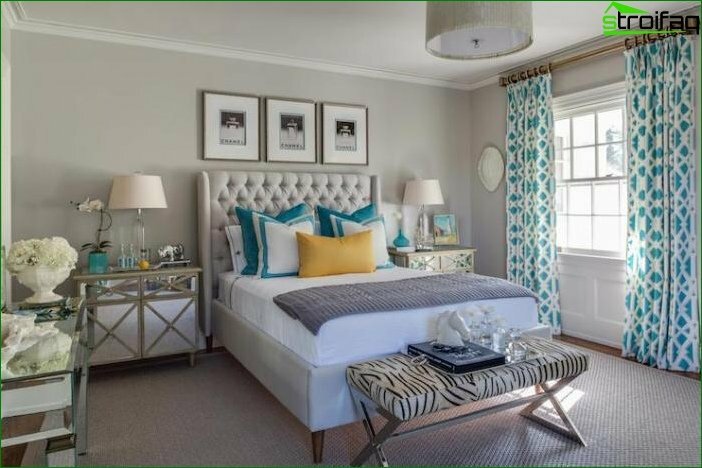 When designing the design of your house, we want to fulfill it in your favorite colors. 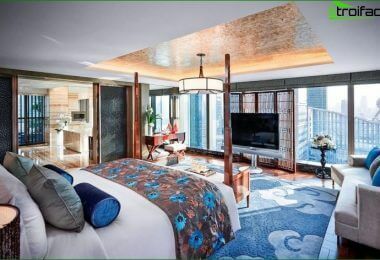 Each room has its own character and mood, and it can be expressed in color. 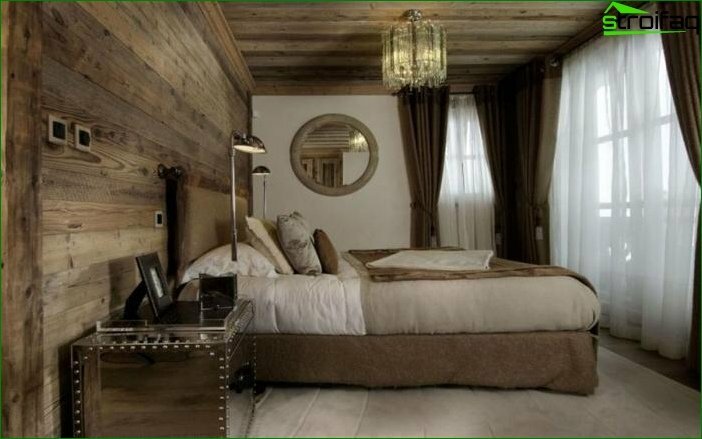 In the bedroom we relax, and not only thanks to the atmosphere, but also to the shades that are present in the design. Any color in its own way affects the mood andState of health. 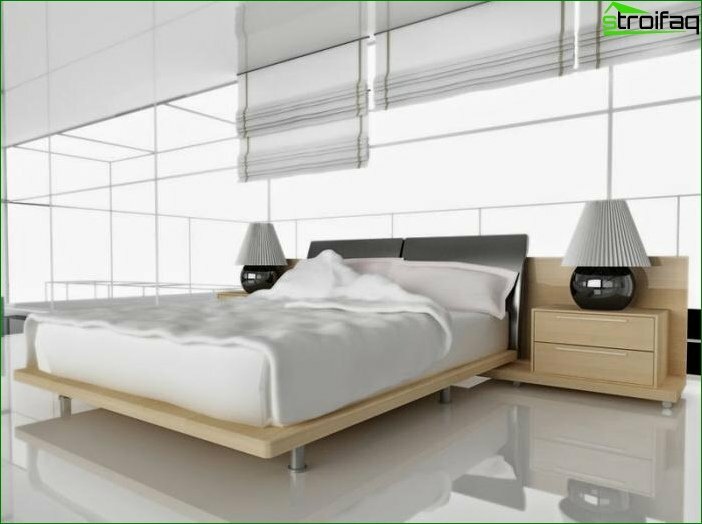 For the bedroom you need soothing and well-influencing sleep. Green has long been regarded as such a color. He "does not press", does not excite, but merges with the background. 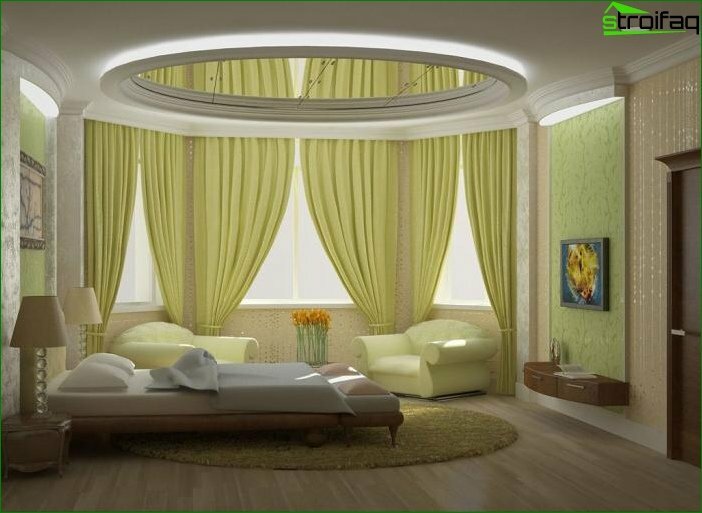 Choosing green curtains, we must organically include it in the overall design of the room. 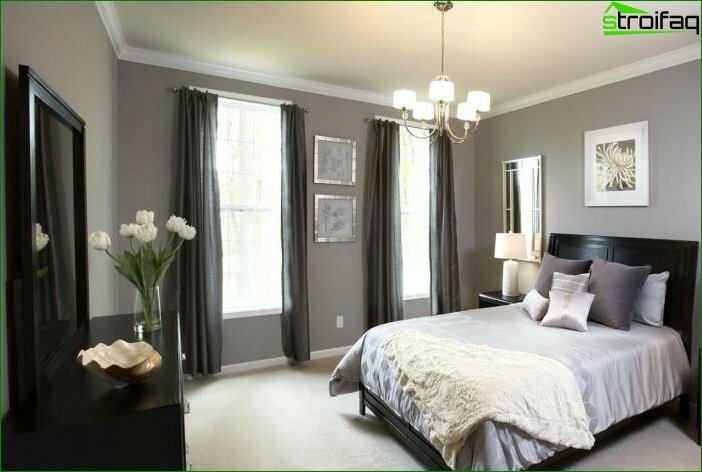 What shades are suitable for a bedroom? If in the design we focus on the window, then it's best to stay on the juicy colors. 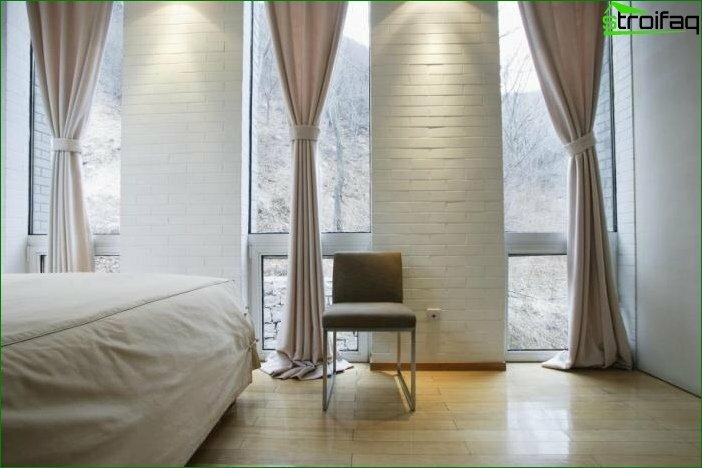 Dense curtains should be dark, and tulle - light, almost transparent or white. 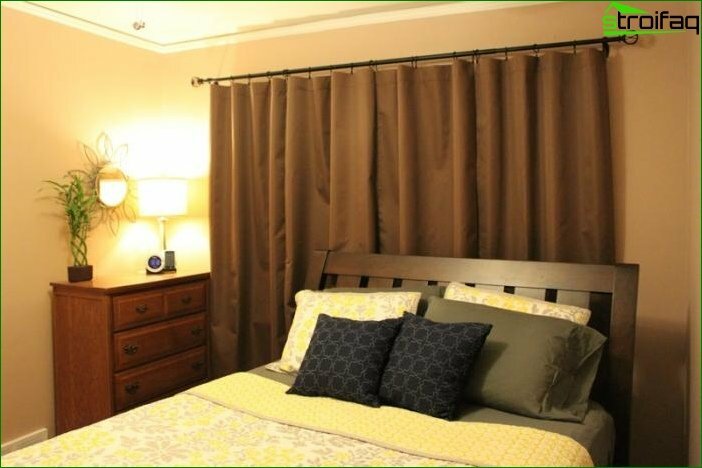 If the room has other "carriers" of saturated green, for example, pillows, bedspreads or paintings, then it is best to hang curtains in a gentle, neutral range. This is a mysterious and multifaceted color, it is chosenCreative, spiritual personalities. Violet is so beautiful and unusual that it can transform any interior. Many shades give the opportunity to fantasize. It can cause sensuality in some and anxiety for others, so choose the tone you need carefully and carefully. Juicy colors can only be slightly interspersed in the interior of the bedroom: a vase of iris color, a lamp plafond or patterns on a veil ... In a word, gently add bright spots, like drops falling from a brush. 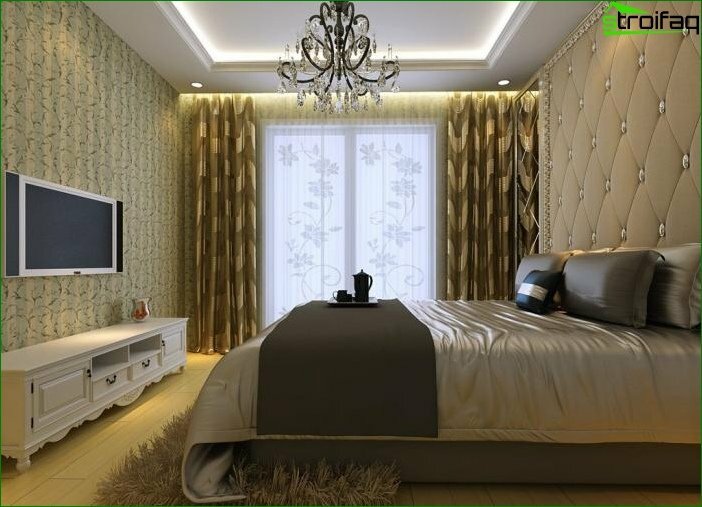 This is the color of reliability, peace, tradition andStability, and therefore, it is perfect for a bedroom interior. A brown color has so many shades that even a person who does not like it will still find something of its own among them. 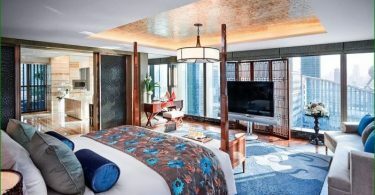 The bedroom in brown tones is in trend today. This can be interesting for those who constantly use this color, and for those who blindly follow fashion. 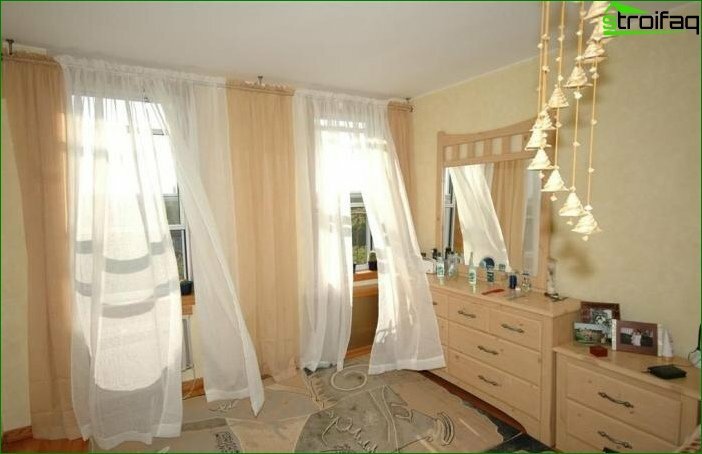 Curtains we will combine coffee, beige and ivory. And we will leave dark colors for furniture and accessories. 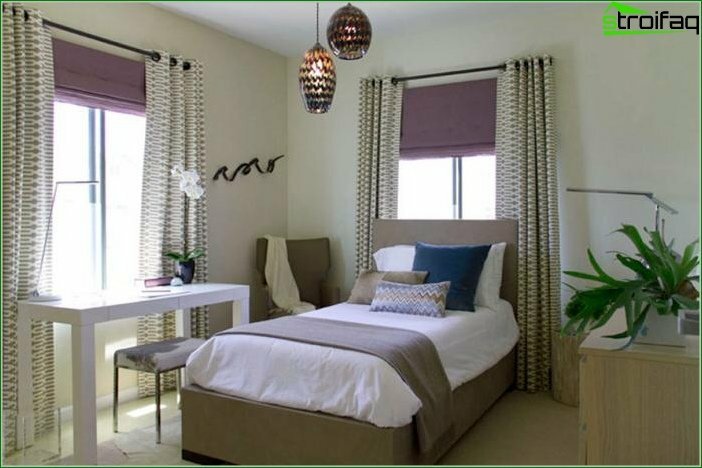 When creating a design in brown shades of curtains, consider the size of your bedroom. 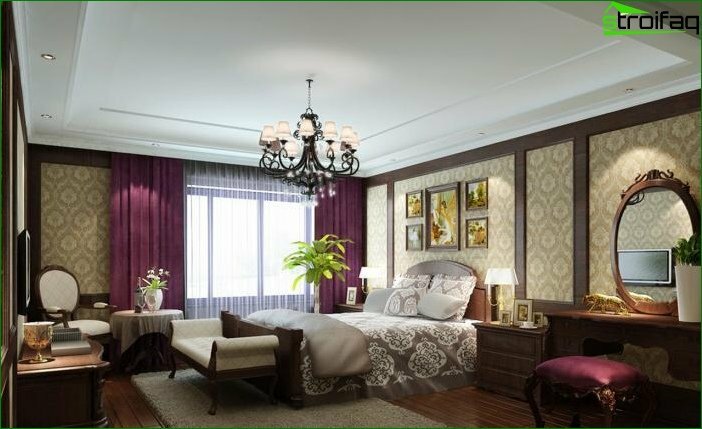 For a large room suitable"Chocolate" tones, and in a small room the curtains should always be lighter than the rest of the situation, so they will pass a sufficient amount of light, and the room will become more spacious and cozy. 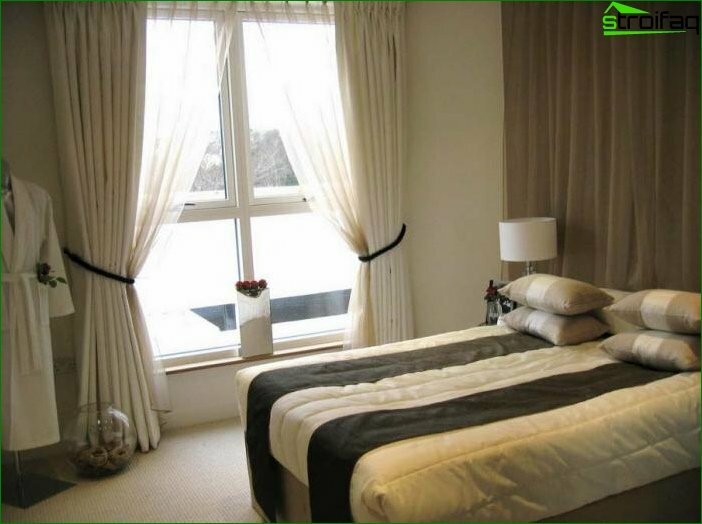 Curtains for the bedroom should be multi-layered, textured, unusual and simply gorgeous! Classic style does not go out of fashion, because in the bedroom we want traditional comfort and chic at the same time. Lambruck and draperies are again in the foreground. They certainly decorate the window and look particularly well on large windows. 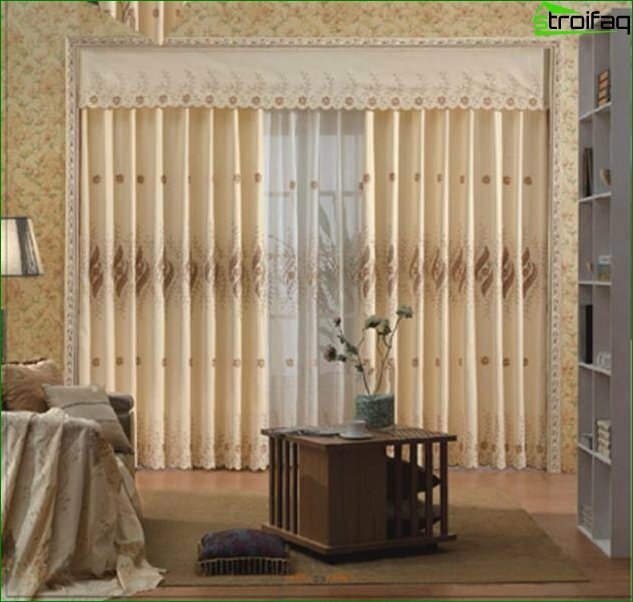 Roman blinds are still in fashion, which are notOccupy a lot of space and at the same time effectively highlight the window on the background of the entire interior. This is a choice, rather, for dynamic people who are trying to order everything around and get rid of excess. In 2017 it is very fashionable to combine different styles and forms (fusion). Creative nature can create its own window. A small room is usually reserved for the bedroom. Of course! We're just sleeping there! But still I want it to be the most cozy corner in the apartment. 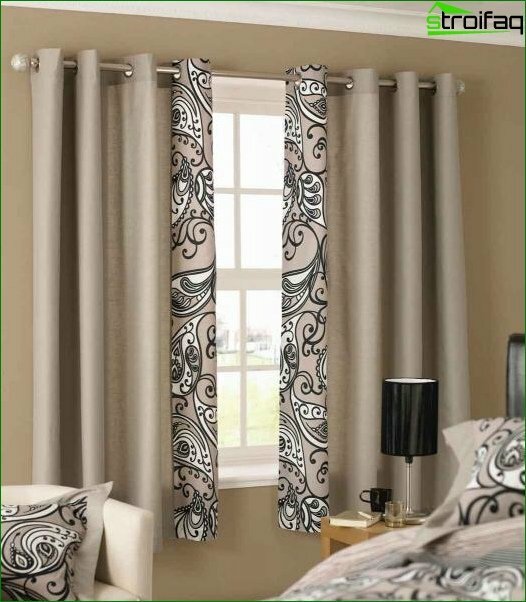 How to do this with curtains? 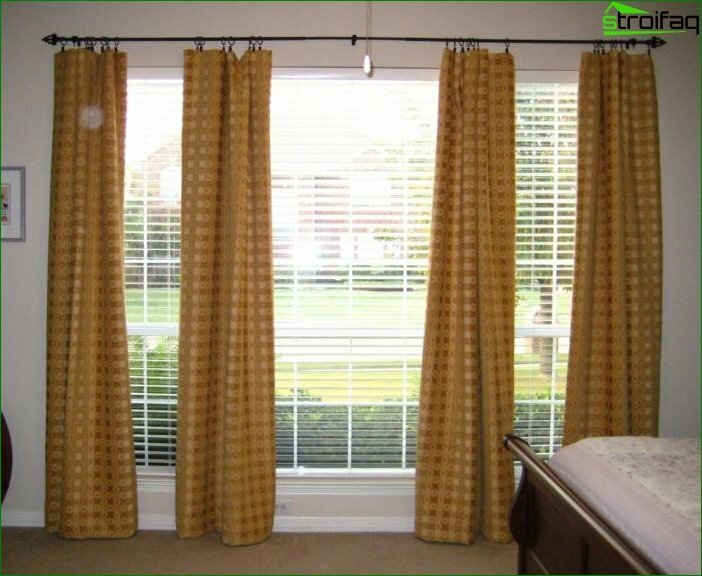 If the window does not cost anything, we can safely hang long curtains on the floor. 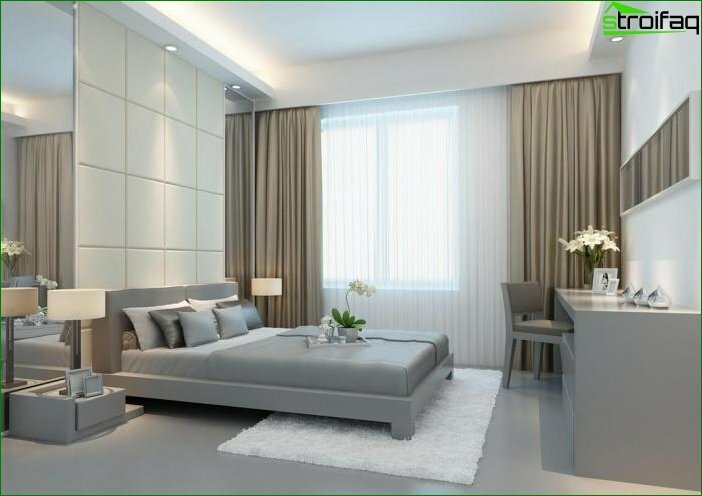 We will not choose thick curtains, even if all of them are light and transparent (then there will be a lot of light in the bedroom, and it will seem bigger). 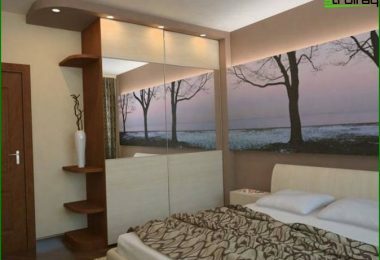 More about the design of a small bedroom. 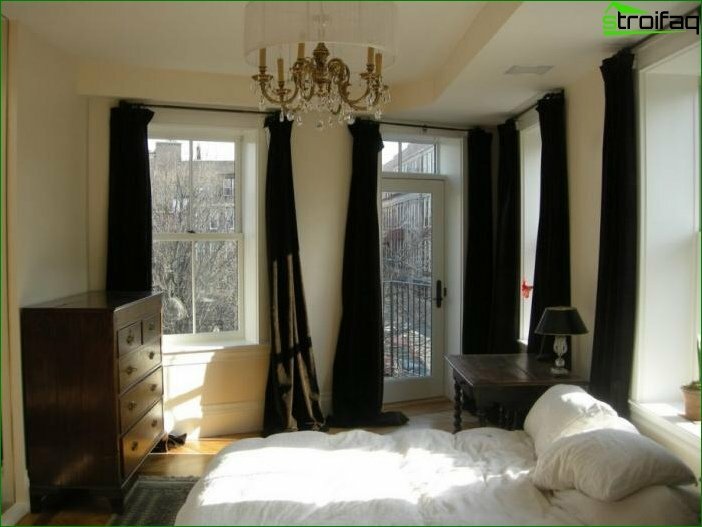 If the bedroom has a balcony, it is advisable to hide the door with the help of curtains. Hence, they must be long and wide. 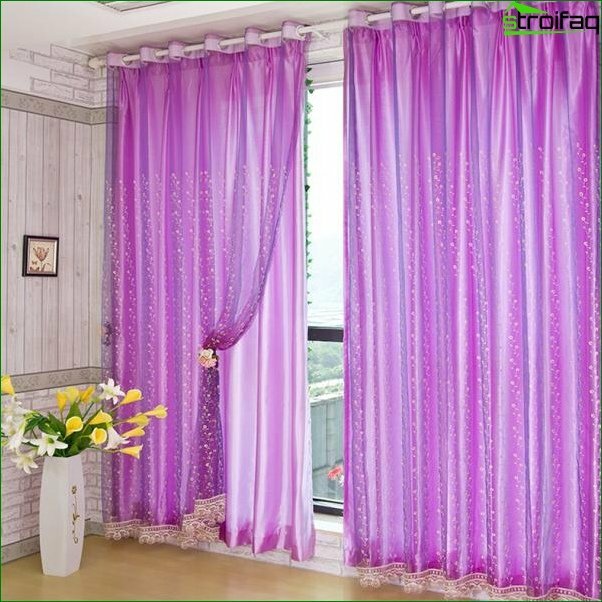 For those who do not like bright sunlight in the morning, you should choose tight curtains. However, in the afternoon, especially in the summer, we oftenWe leave on the balcony. Therefore, curtains should not interfere with the way. To do this, you can fix them with braid or decorative rings, it will look beautiful, and we can safely open the balcony door. 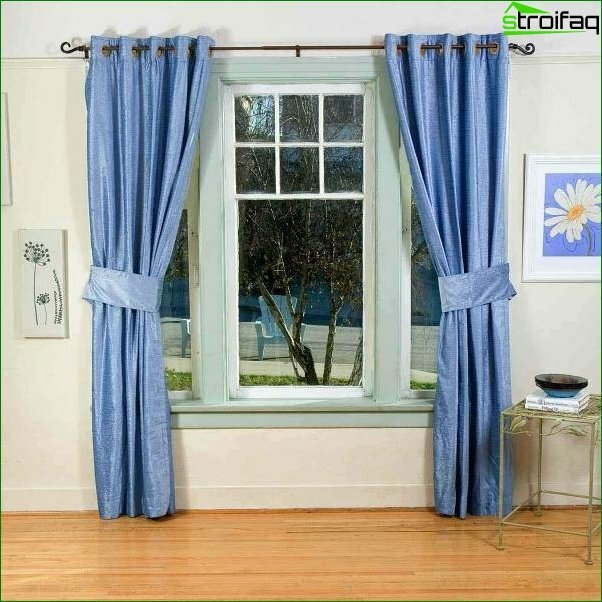 All windows in the room must be the sameDecorated, the length and shape of the curtain must be the same. The same goes for color. 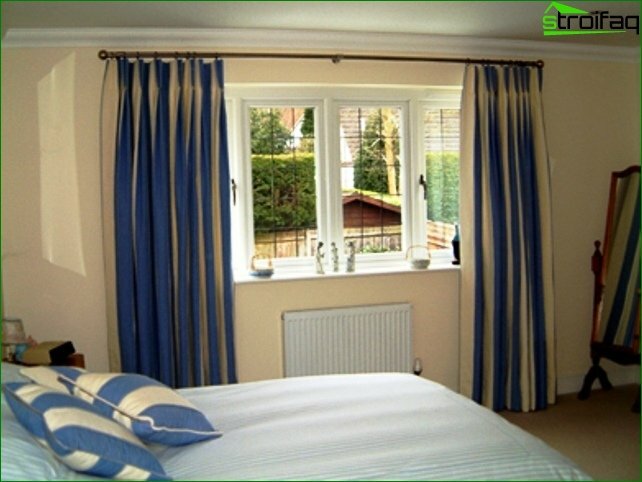 If one window is large with a balcony, and the other is small, we can hang curtains of different lengths. But otherwise it is better to keep the symmetry. 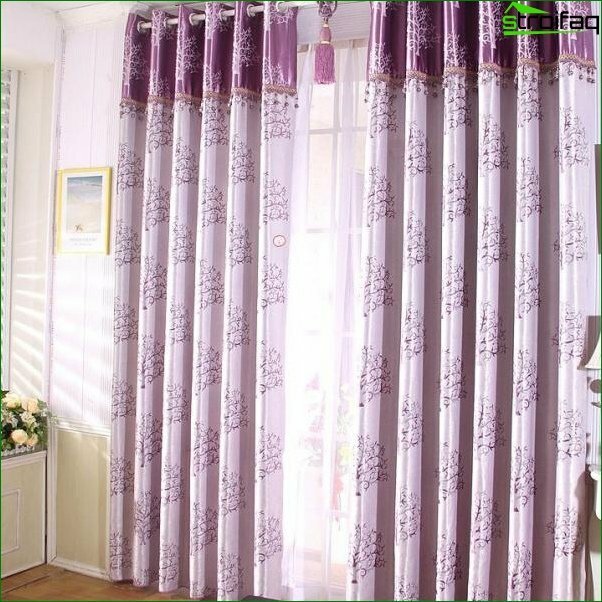 Today, choose effective curtains will not be difficult. 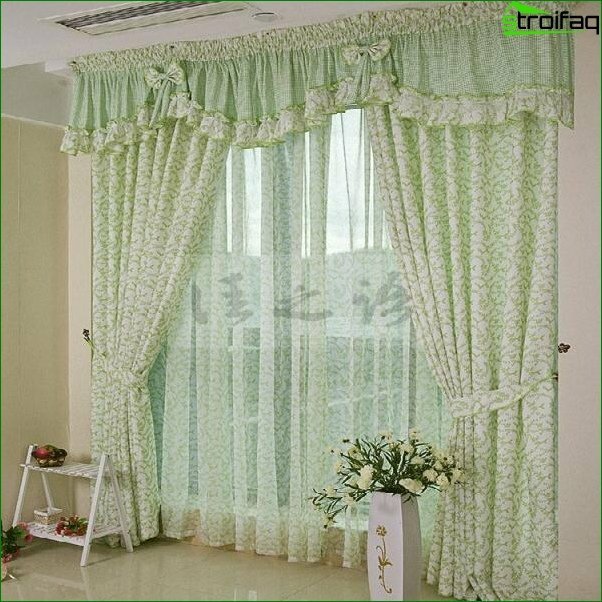 For any style and for every taste there are many kinds of curtains. 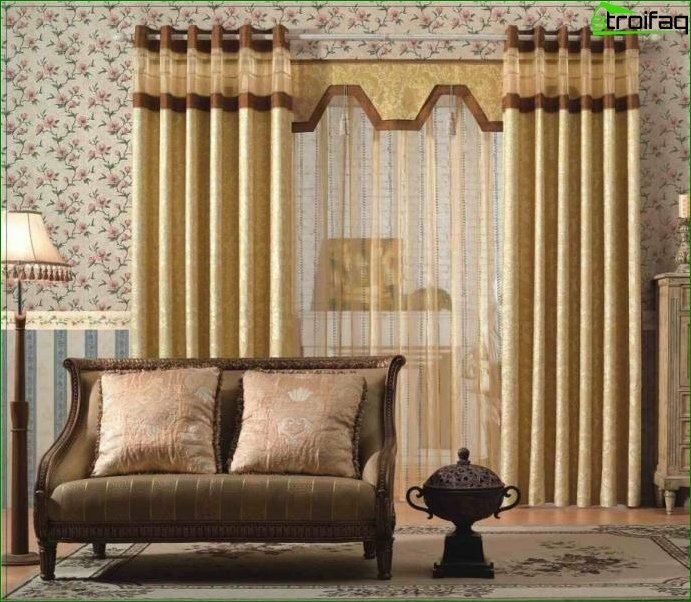 Curtains with a lambrequin create an aristocratic,A luxurious atmosphere. 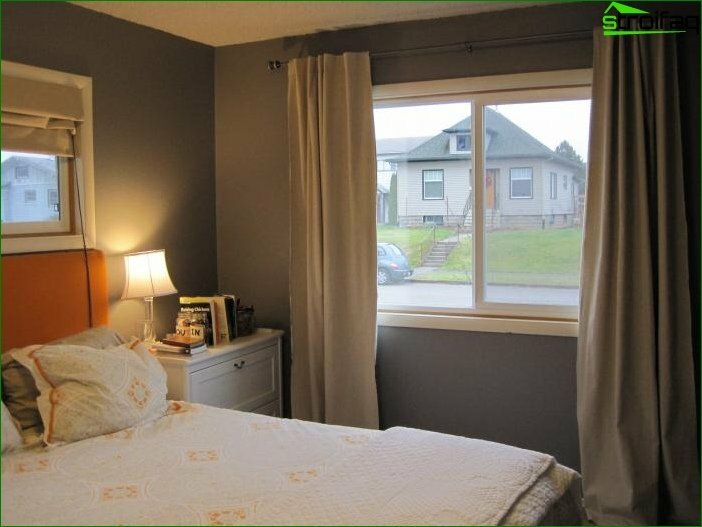 They are usually chosen for a spacious bedroom with a large window. 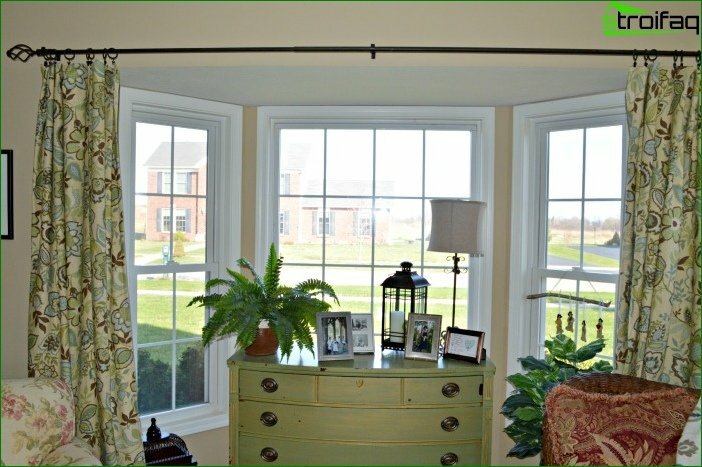 Lambruck allows you to adjust the height of the window, and if necessary, will hide some of the shortcomings. 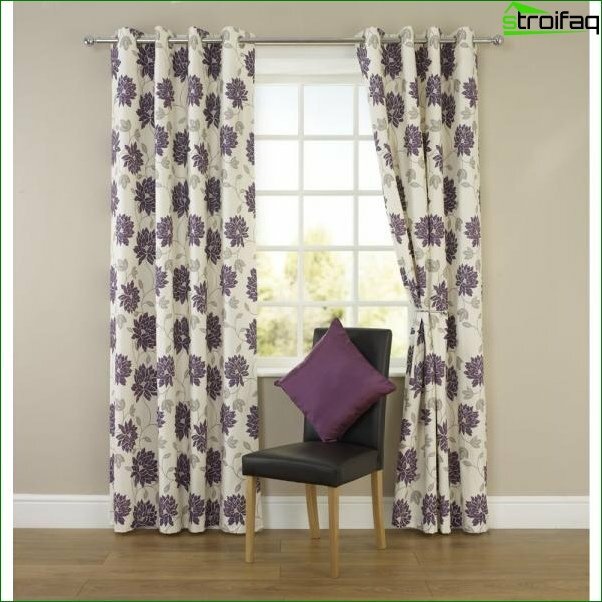 To create a vintage or minimalistic style, curtains on the rings are ideal. 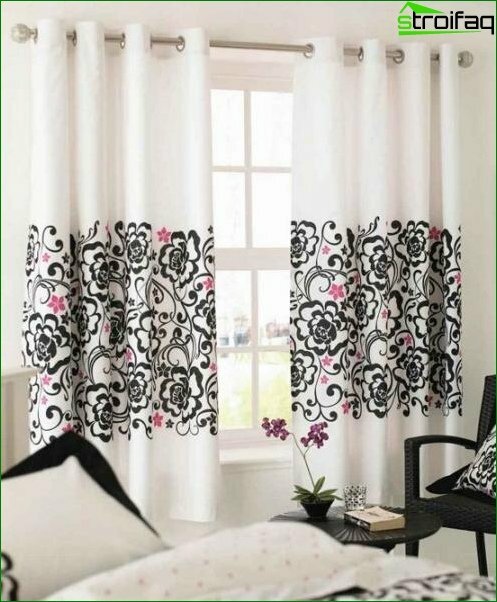 They are simple in appearance and reliable, they are easy to remove and wash.
Curtains on the eyelets also fit easily into theModern bedroom. 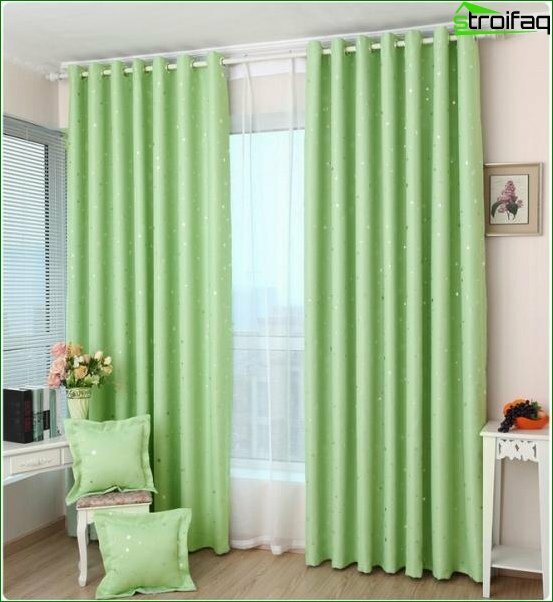 Eyelets are holes in the curtain fabric, on which they are threaded on a round cornice. 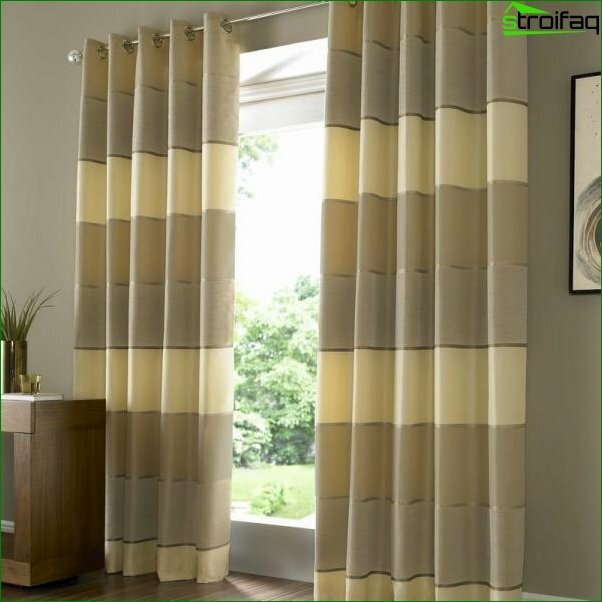 Thanks to them, the folds of the fabric lie perfectly flat, the curtains are not stretched or deformed. 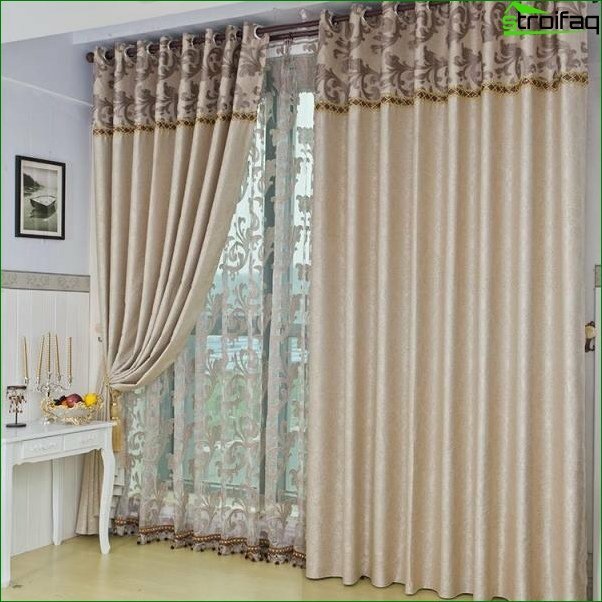 Short curtains suitable for a small bedroom, inWhich the bed is next to the window, and there is no place for free space. 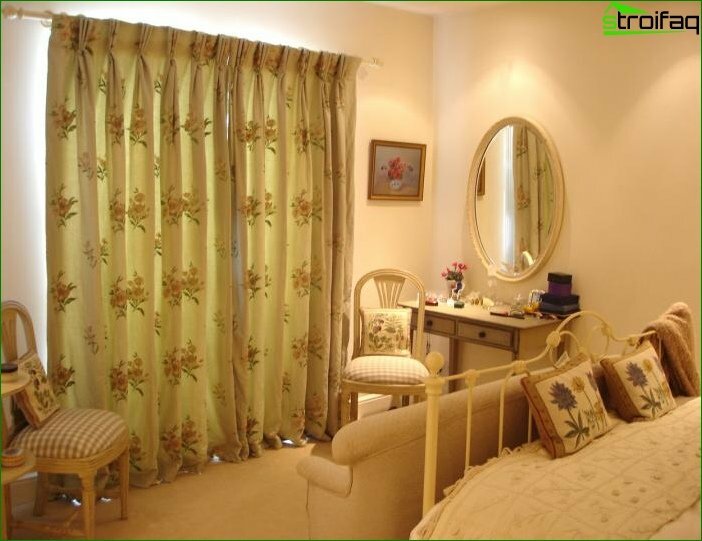 Such curtains can consist of several layers of air tulle, they will shade the bedroom and will look at ease. Each child wants that in the interior of the room there were images of favorite cartoon characters and games. Therefore for the grown up boy it is possible to choose curtains with bright drawings in the form of wheelbarrows, transformers or turtles. Children up to 3 years are best to hang curtains in quiet, discreet tones with a small number of drawings, otherwise the baby will be difficult to fall asleep. 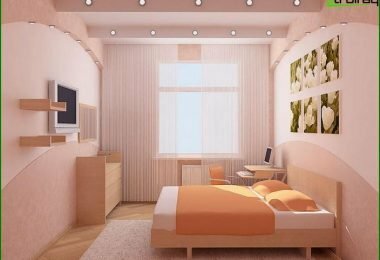 To create comfort in the little girl's bedroomIt will also be useful to use pastel colors. 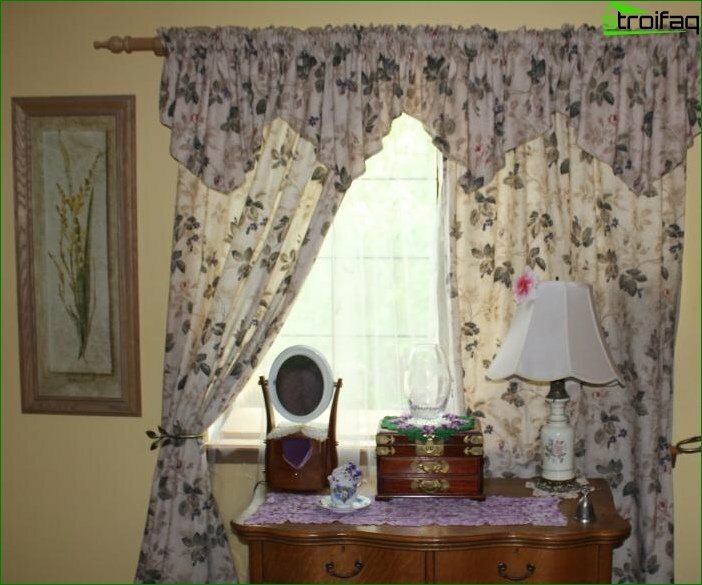 Curtains can be decorated with several butterflies or flowers. They will decorate the interior, but will not overload the child's psyche. 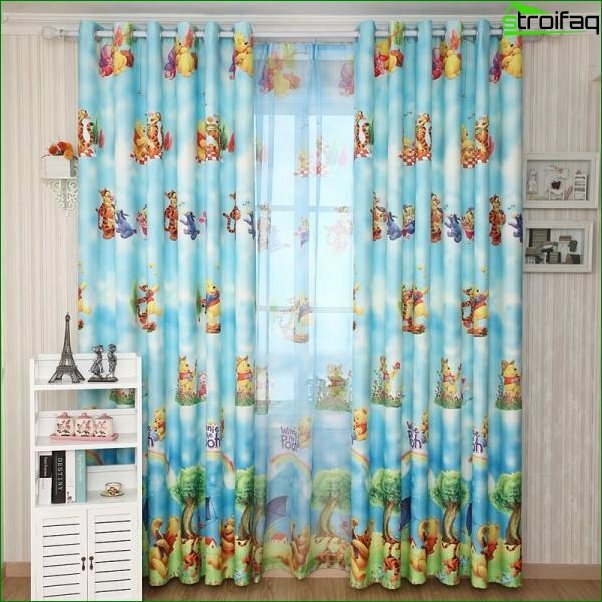 Older girls can be allowed curtains with their favorite fairies and other fairy-tale heroes. 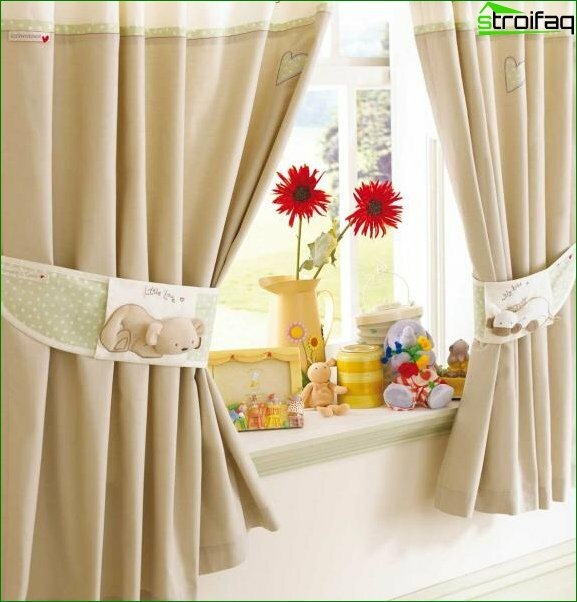 In the children's bedroom, curtains should be simple inCare, as they must often be washed or cleaned. 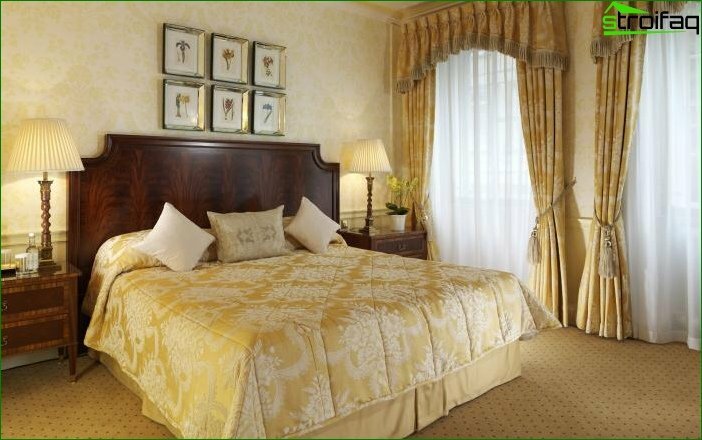 Do not hang heavy dense curtains with drapery and lambrequins: they collect a lot of dust and look cumbersome. 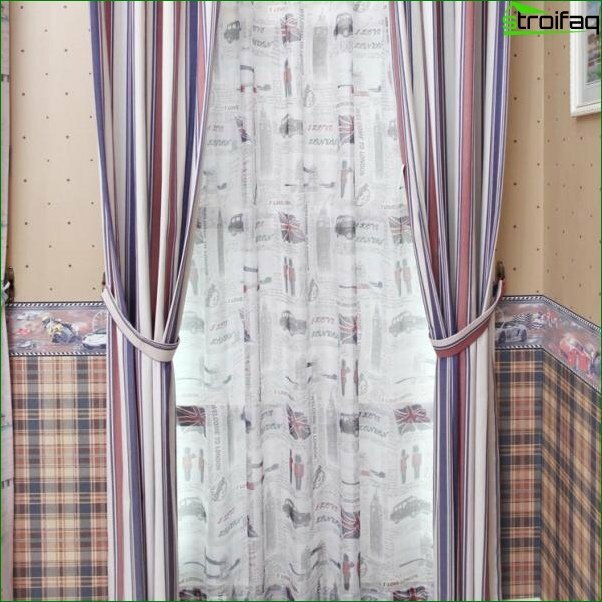 This is more suitable multi-layer tulle, and for protection from the sun you can hang Roman or roller blinds. Another good option will be curtains on the eyelets or rings. If a good example was found in a special magazine, then there must be a pattern. If on the Internet, then you need to look for it there. You can brag to the guests!